for all the different workshops coming up. 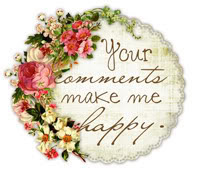 so if you need any help just leave a comment under any of the posts, and I will answer next time I am on. 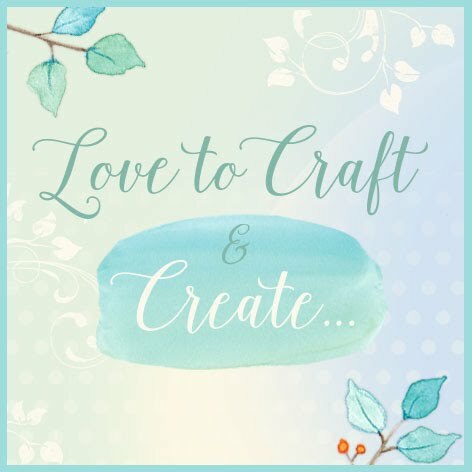 Full details are on my Workshop page. Will give the prizes out next time we meet. perfect for birthday’s or Debs card. This is a few design fold for me. Card 3. 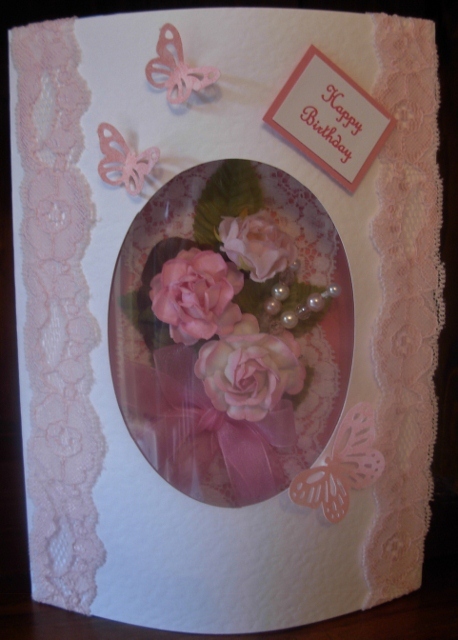 Cream and pink ballerina card, using ribbons, lace, flowers and more. 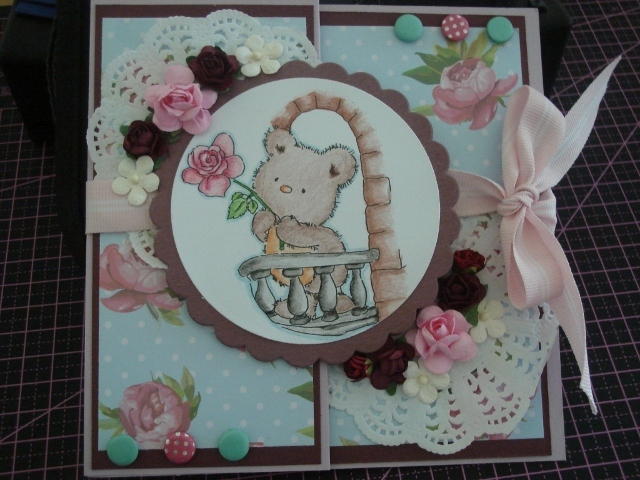 with a shabby chic feel. A few new techniques with this one. 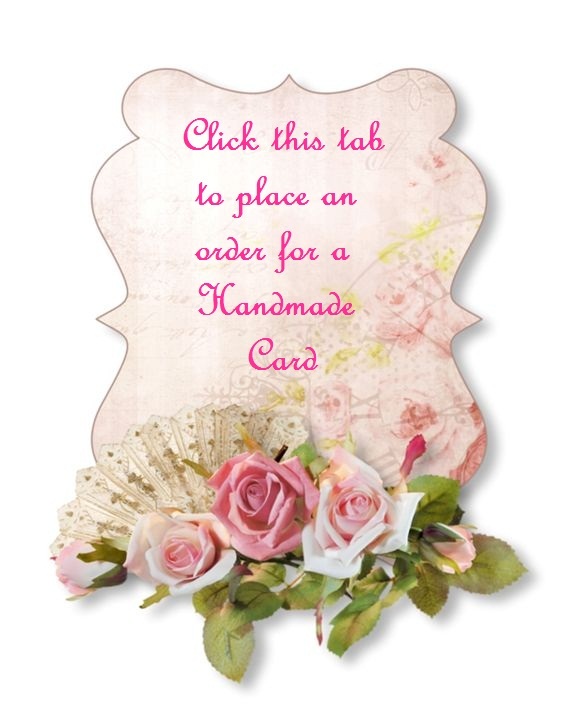 Card 4. Handmade basque, saucy but nice. 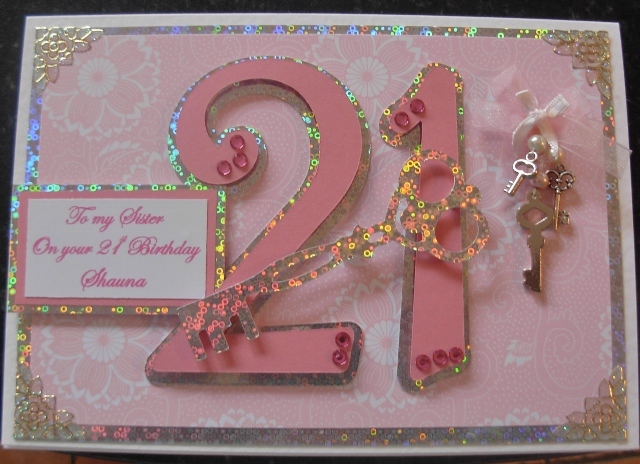 perfect for young ladies birthday’s in reds and black. 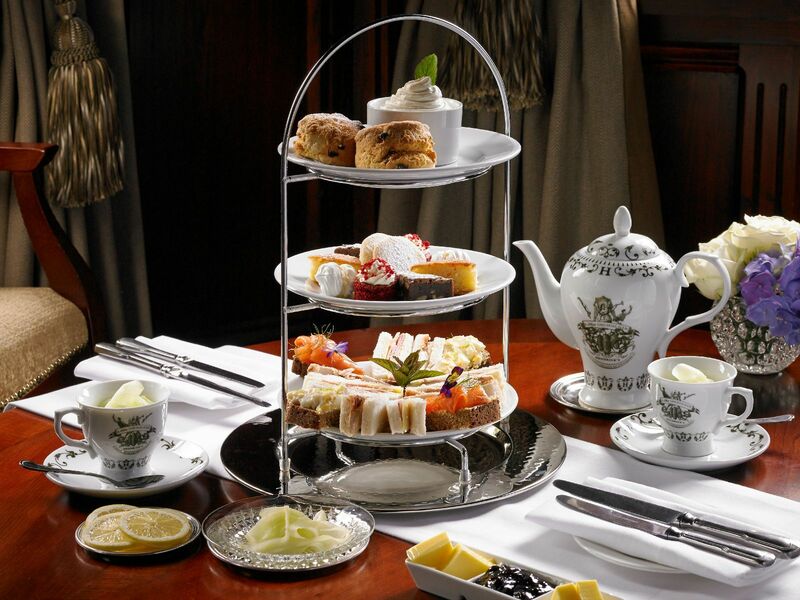 while you relax with a nice cuppa before heading home.. 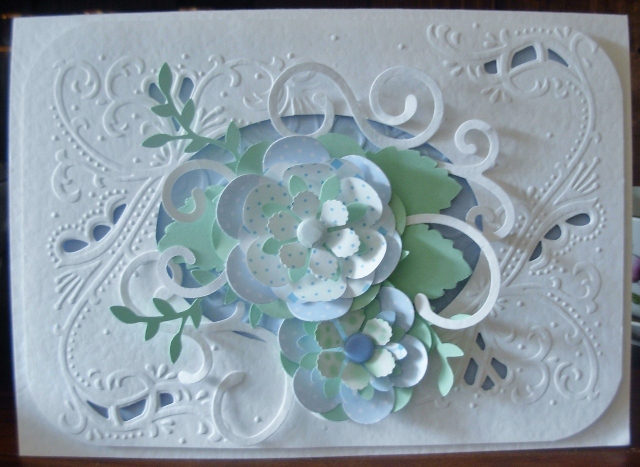 Surprise Card, very French. 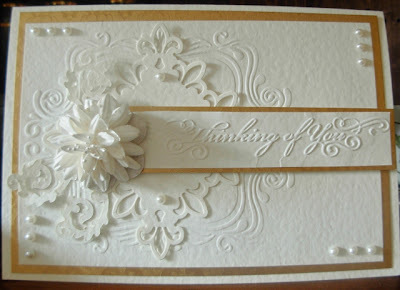 Beautiful elegant lace card, with a really feminine image. And can’t wait to share the photos with you. And yes I am making the Pear and Almond tart again for desert. when I have made them. And I am delighted how they have turned out. 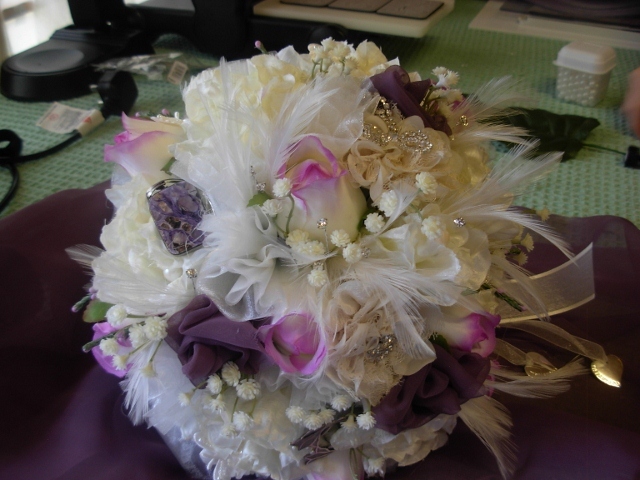 there are still 5 places available for the 5th of August. 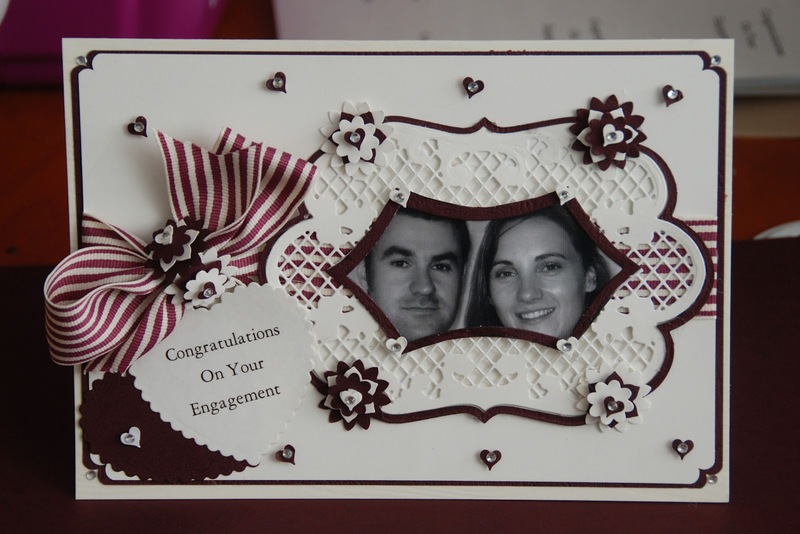 The message ' Congratulations on your engagement' is on the inside of the card. 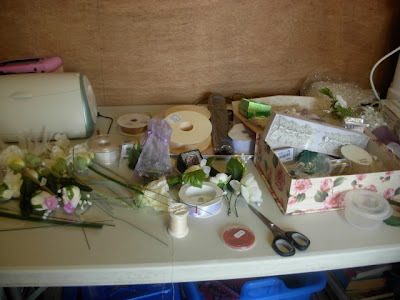 The paper doilies Poppy craft cabin uk. 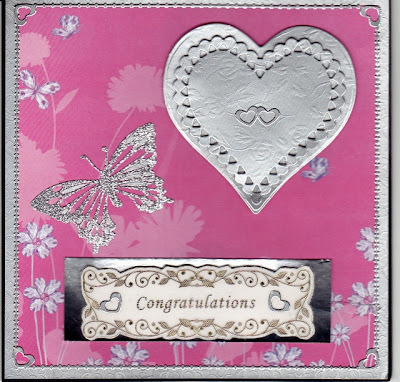 Ribbon from a friend's stash (an online group had a ribbon exchange recently and i've received a lovely parcel from a lady in US) Card candys, Spellbinders circle and circle scalloped. 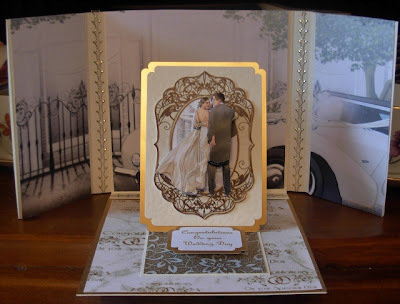 I used a basic A4 fold on an ivory coloured card. 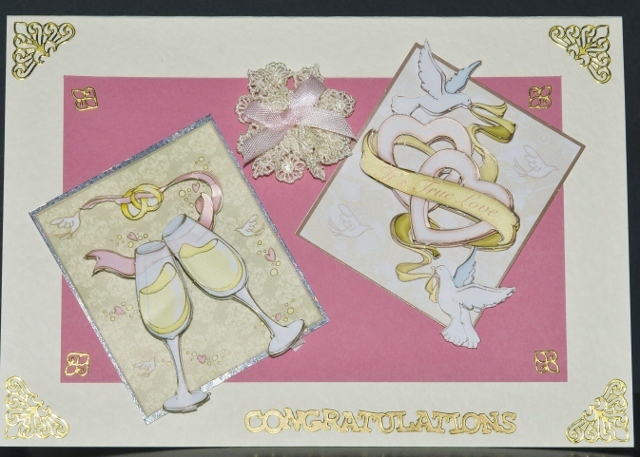 I chose the colours gold and pink to give a sense of romance. 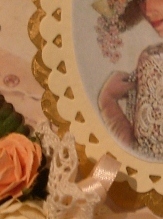 The decoupage champagne glasses show celebration and the doves for love. 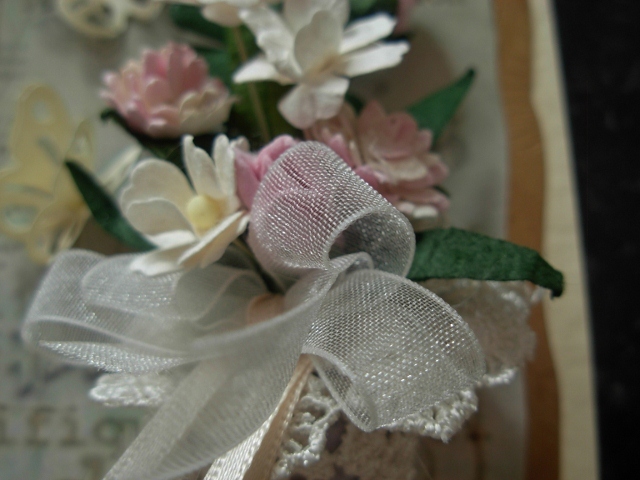 I made a flower and bow from material I had at home. 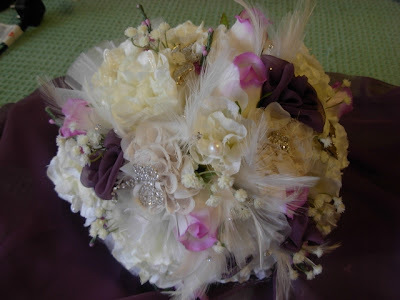 The flower signifies the growth of the young couple and the bow is the knot that secures their relationship. 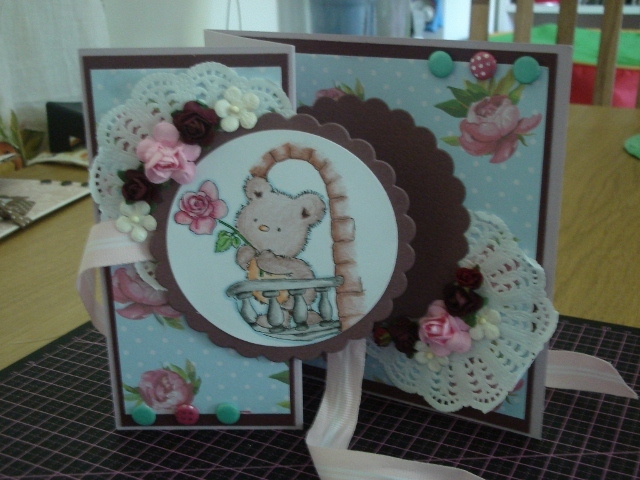 Here's my entry for the Card Challenge. 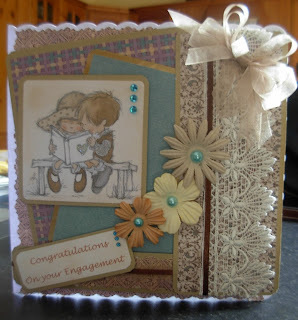 It's for a first anniversary for a young married couple so I think it's got the 'young' feel to it. 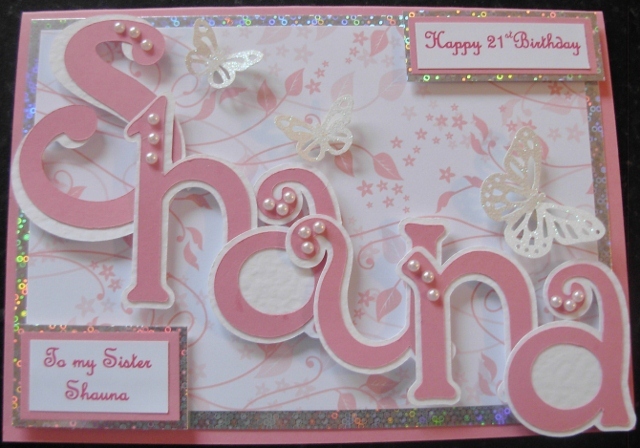 The card was made using a black 7" card for the base. 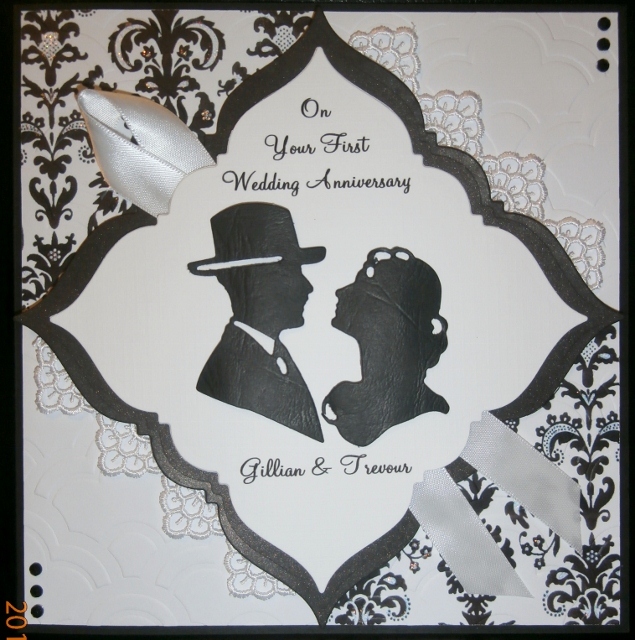 Then I inserted my black & white image block into a document and placed it twice within a six and a half square shape, once on the top left and once on the bottom right. That way when I printed the backing image it printed off in one full square with the white blocks automatically included rather than having to join four squares together. I then cut two layering templates from the go kreate frilly#7 dies and layered them up on top of each other placing some lace on two sides of the back image to decorate. Next, I positioned some ribbon down on the card and then adhered the layering sections down onto the card using 3D foam, thus holding the ribbon in place underneath it. 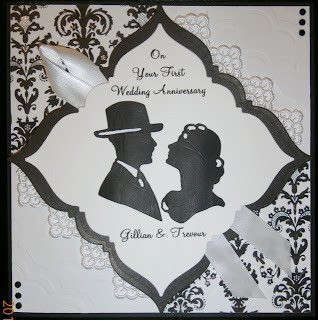 Lastly, I put the two silhouette images onto the topper front using 3D foam pads. These silhouettes are from the marianne creatables range of dies. 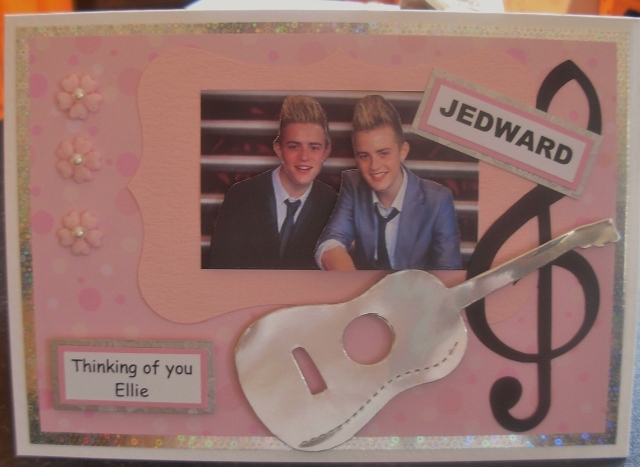 Hope you like it, it's simple but very effective. I got the arch from a free download on Lilac Garden, made it bigger and printed on photopaper. 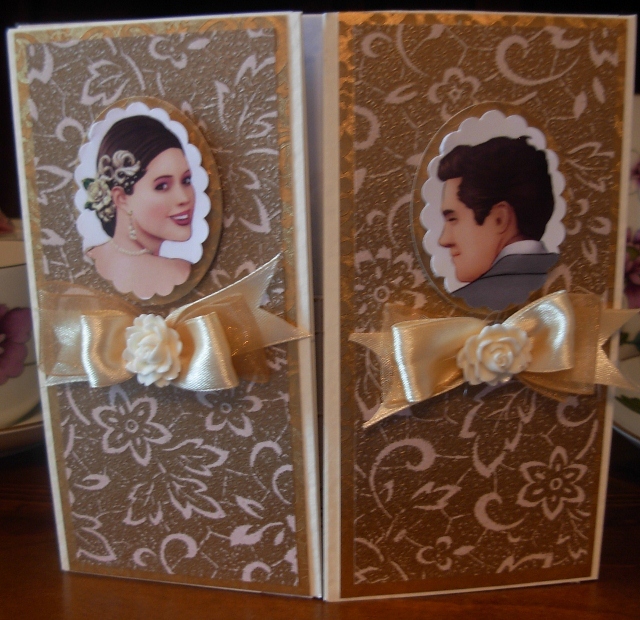 I cut out the panes and stuck the window over the picture of the couple with double layer of double sided tape. 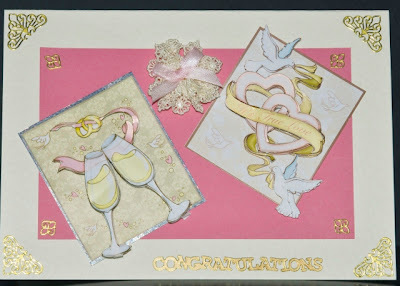 I then mounted this on gold card, and then on to lilac card which I punched with a border punch and again mounted this on purple card. I typed the verse in Edwardian script font 24 onto the blank page from the same download from Lilac Garden which I printed on photopaper, and mounted on lilac which I again punched with a border punch, and then mounted on purple. 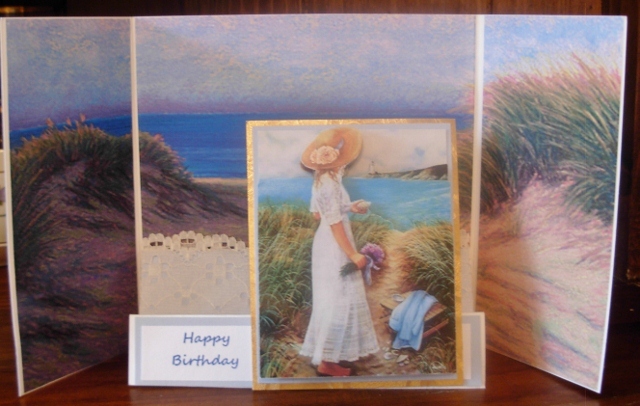 To make the base of the card and easel I scored an A4 sheet lengthwise at 4cm. 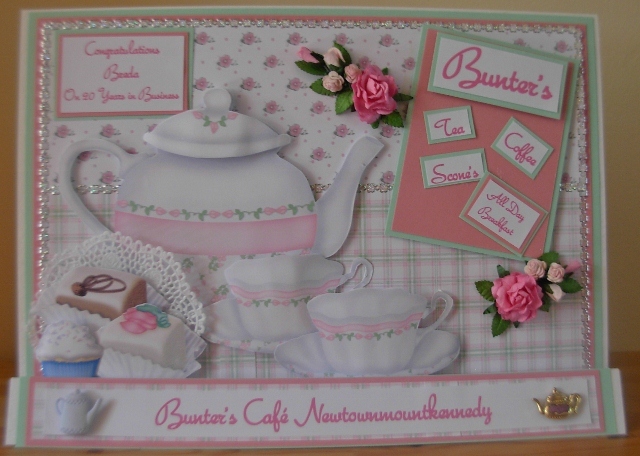 I attached another A4 sheet back and front of the 4cm side to form the base. 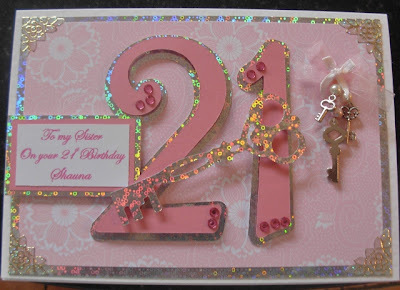 The other side I cut at 21cm to meet the centre and scored diagonally to attach the decorated photo card to. 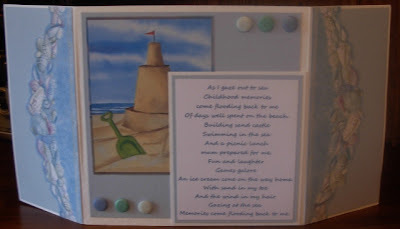 I again scored the smaller portion diagonally to attach the poem card to. I stuck purple and lilac card to the floor of the card. 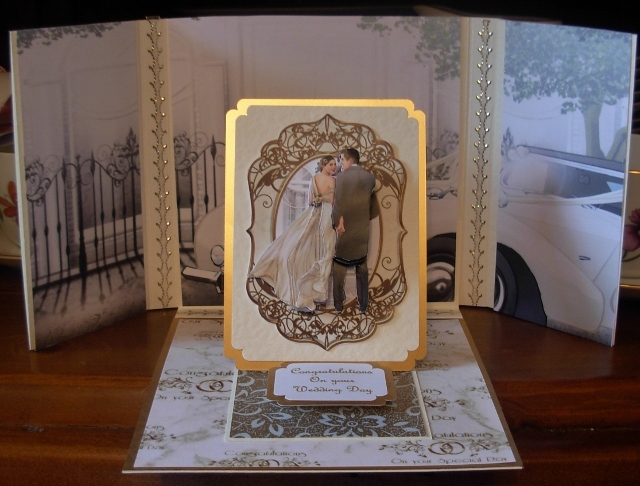 The easel hold I cut with a die cut and mounted with a double layer of double sided tape. I decorated with a flower and attached a bow underneath. 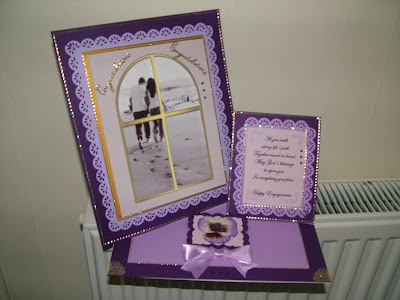 The photo i took myself, the frame is from Marianne Creatables range. 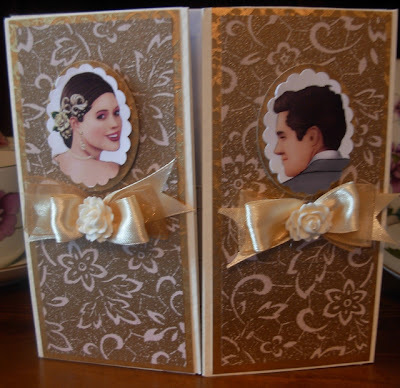 Punches used are from stamping up along with the Ribbon. This engagement card is for a friend who love theatre, in particular the latest play by Peter Sheridan: 47 Roses. We went to see it during the week together! I think she'll love this card! 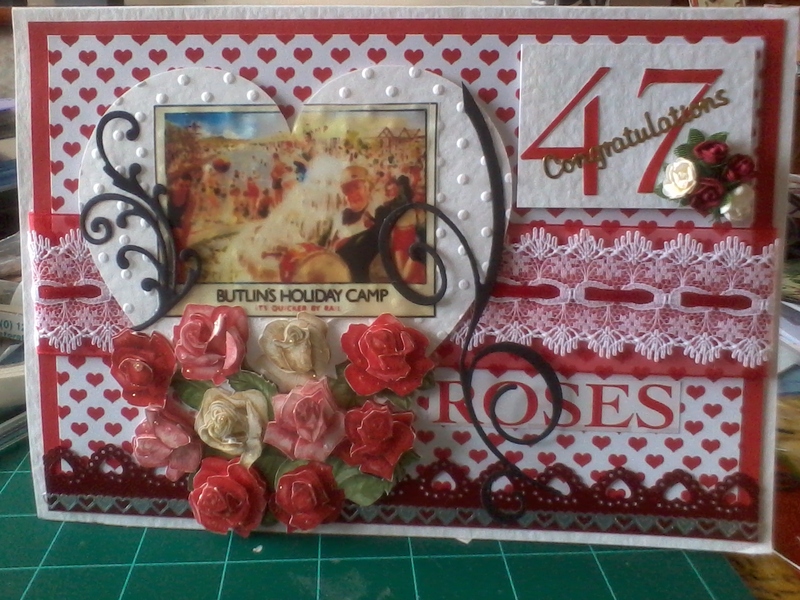 The image is of a vintage Butlins and decoupage roses. I cut the 47 from the programme. It's a play well-worth seeing if possible. Many of you will probably have read the book. 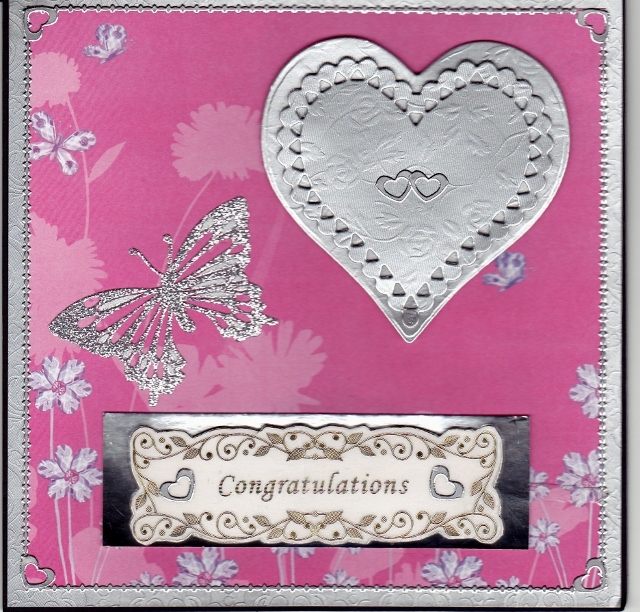 on to silver and silver peel offs to frame it..
a butterfly glitter sticker and the greeting to say Congratulations. 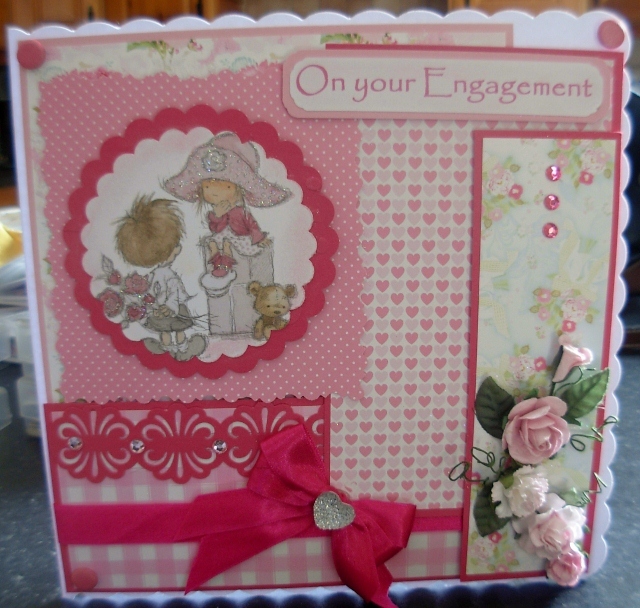 Scalloped cards from Touch of crafts at the Belfast show. Please join in by sending your photo by email you will find my email link at the top of the right hand column. voting will be open for 1 week. 1. Grease and Line a 12 inch flan dish with jus rol ready rolled short crust pastry. 1.. You need 2 tins of pear halves, drained and patted dry with kitchen roll. Bake in a oven set at 190.c for about 35 /40minutes until risen and golden brown. Leave in tin to “set” for 10 minutes, Dust with icing suger then remove and serve warm with cream or ice cream. custard is my favourite. I have made this only twice but both time it has turned out delicious . I promise it will be desert for next workshop on the 12th. 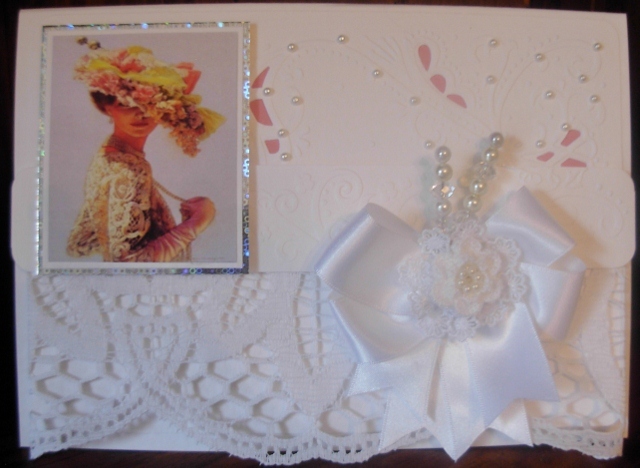 All lace used on these cards from Blue Bell Girl Crafts Uk. Thinking of you Embossing boarder bar, from a set of 3 from Darice, available at crafter's companion. Card full opened with the Easel propped open. if you want any information please get in touch. You can make any style of card, but with a young romantic feel. I will open the Poll just after 6.00pm on Saturday evening. I will have a lovely card making Goody Bag up for grabs. 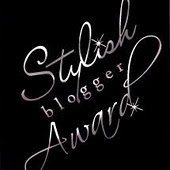 this is open to everyone who views my blog and wants to take part. 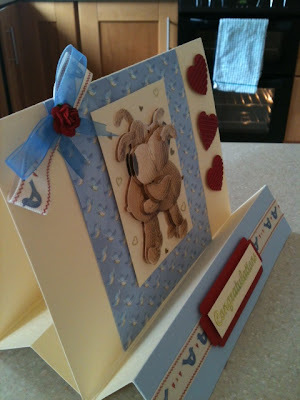 Please send the picture of your entry as a jpeg image attached to an email. 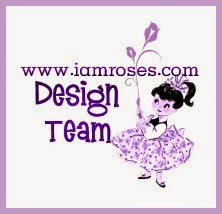 with some details about yourself and what you used. 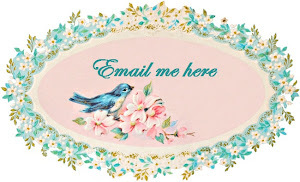 please follow the email link in the top of right hand column. 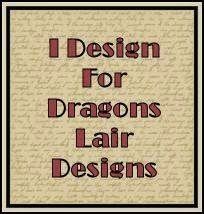 only from someone who shares my hobby. 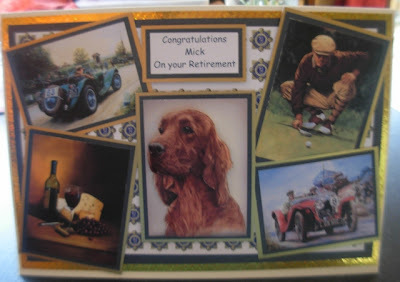 You would never find a card like this in a shop. 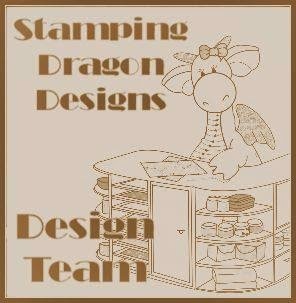 so my Cricut is getting a bit of work this week. who got 33 votes for her lovely Summer card. 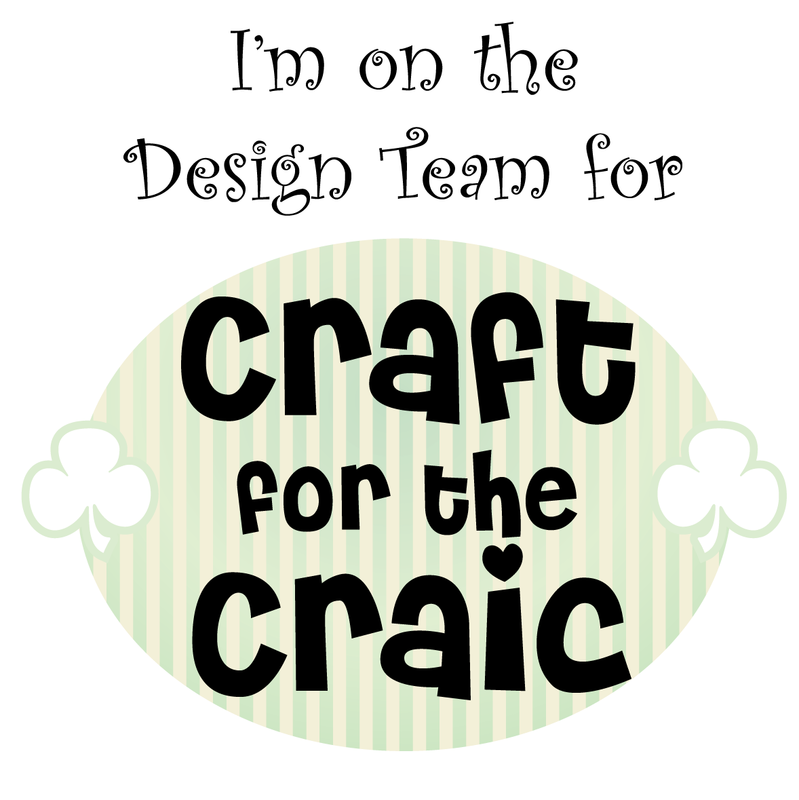 and hand out the little embellishment goody bags to everyone else on the list as soon as we next meet up. 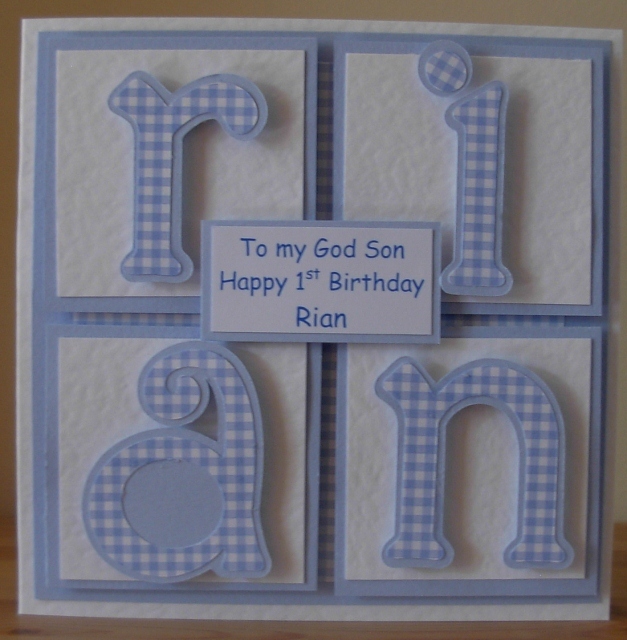 Niamh O Grady asked me to send her a card to cheer her up. so hope she likes it. 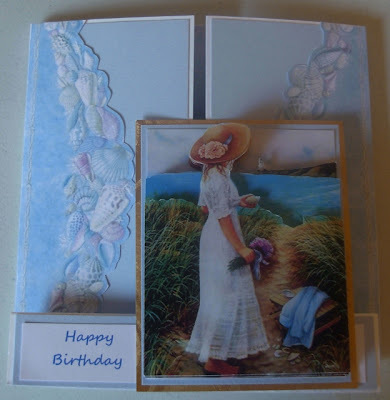 Please send her a card if you have time. 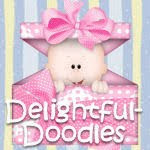 So Sweet Download from Delightful doodles.